For film buffs, there’s a lot to love in Seattle. 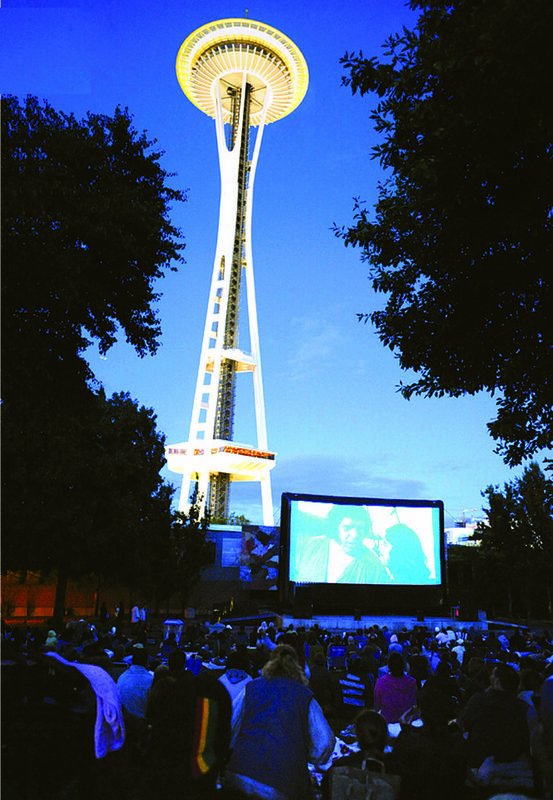 The myriad outdoor summer movie series found around town are proof of Seattle’s love affair with the silver screen. Fremont Outdoor Cinema (3501 Phinney Ave N; fremontoutdoormovies.com), Movies at the Mural (*305 Harrison St; seattlecenter.com/moviesatthemural), Movies at Magnuson Park (7400 Sand Point Way NE; epiceap.com/seattle-outdoor-movie), and West Seattle Outdoor Movies (4410 California Ave SW; wsmovies.org) load their lineups with family-friendly films as well as blockbuster hits. Meanwhile, Three Dollar Bill Outdoor Cinema (*1635 11th Ave; threedollarbillcinema.org) focuses on campy cult classics, and Redhook Brewery’s Moonlight Cinema (*14300 NE 145th St, Redmond; redhook.com) serves up comedies for the imbibing set. When the time comes to cozy up in fall, movie lovers head indoors. Spring’s Seattle International Film Festival (SIFF) has three permanent homes: SIFF Cinema Uptown (511 Queen Anne Ave N, siff.net) is the main hub in Queen Anne, SIFF Film Center (305 Harrison St, siff.net) hosts smaller features a couple of blocks away at Seattle Center, and the majestic SIFF Cinema Egyptian (805 E Pine St, siff.net) captures an old-school moviegoing experience on Capitol Hill. Cinerama (2100 Fourth Ave; cinerama.com) is a single-screen marvel equipped with the best technology and cushiest seats in town. (Psst! The chocolate popcorn is pretty great, too.) For more indie fare, Northwest Film Forum (1515 12th Ave; nwfilmforum.org) hosts new features, obscure gems, and interesting festivals that you won’t see anywhere else. But if you just can’t pass up that classic dinner-and-a-movie duo, you’re still in luck. The Central District’s Central Cinema (1411 21st Ave; central-cinema.com) and downtown’s Big Picture (2505 First Ave; thebigpicture.net) are two establishments that serve patrons pizzas, burgers, and booze during the feature presentation. Article written by Seth Sommerfeld for the Visit Seattle Official Visitors’ Guide.